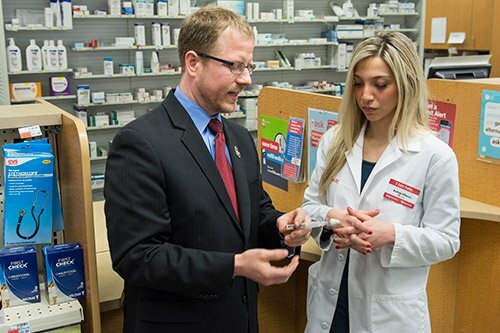 Pharmacotherapy ensures the safe, appropriate and economical use of medications as part of interprofessional treatment teams in a variety of settings, including hospitals and health systems. Currently there are more than 23,700 BPS Board Certified Pharmacotherapy Specialists. The BPS Board Certified Pharmacotherapy Specialist (BCPS) program is a credential for pharmacists who have met the eligibility criteria below and who in their unique practice ensure the safe, appropriate, and economical use of medications as part of interprofessional treatment teams in a variety of settings, including hospitals and health systems. Optimizing medication use by serving as an objective, evidence-based source for therapeutic information and recommendations. Functioning as a member of an interprofessional team providing direct patient care. Working with physicians/prescribers in hospitals to design and/or modify patients’ medication therapy regimens. Recommending adjustments to dosage or alternate medications when appropriate. Working with physicians/prescribers in outpatient settings to optimize medication therapy, and tracking progress and compliance . Making suggestions about diet and lifestyle changes to help patients better manage their health. Refer to the Pharmacotherapy Content Outline for details. Earning 120 hours of continuing education credit provided by a professional development programs offered by the American College of Clinical Pharmacy (ACCP) and/or the American Society of Health-System Pharmacists (ASHP). Please note, the Pharmacotherapy Review and Recertification Courses offered by either of the approved providers may only be completed for recertification credit up to two times, in nonconsecutive years, during the recertification cycle. The continuing education option for recertification was implemented in 1994 with BPS’ designation of the American College of Clinical Pharmacy’s Pharmacotherapy Self-Assessment Program (PSAP) as an acceptable professional development program for recertification. In 2011, BPS approved two more options for recertification through ACCP, the Pharmacotherapy Preparatory Review and Recertification Course as well as the Clinical Reasoning Series. 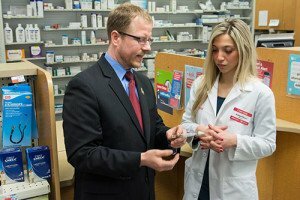 Starting in 2013, the American Society of Health-System Pharmacists (ASHP) has been approved as a provider of professional development programs for Pharmacotherapy Specialists. ASHP’s approved BCPS Recertification Program consists of three components: the ASHP Pharmacotherapy Review and Recertification Course; the BCPS Recertification Literature Study; and the Pharmacotherapy Intensive Study. 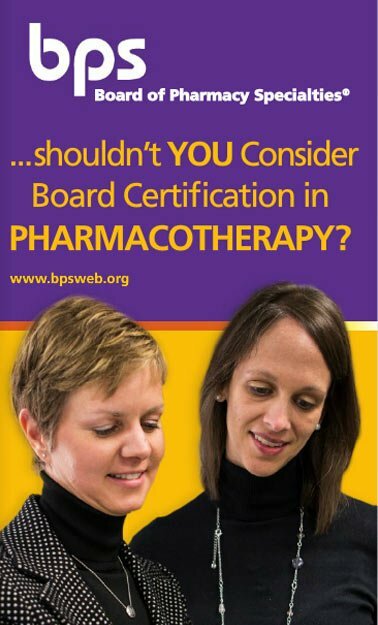 Board Certified Pharmacotherapy Specialists® are also required to pay the BPS Annual Certification Maintenance fee of $125 each year for years one through six and a $400 recertification fee in year seven.